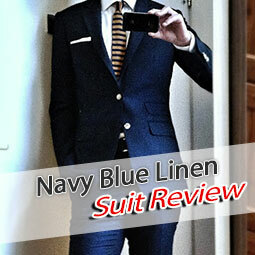 My latest - and probably favorite - purchase from Indochino is the Walker Navy Tweed Suit. 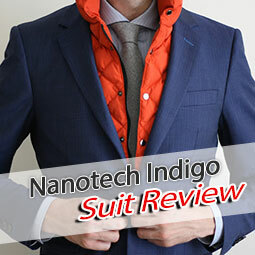 It is one of those Indochino suits that you have to purchase right away, or it will be sold out within a week. Actually, it had already sold out right when I wanted to order it and miraculously appeared again the next day. So, that suit is gone now, but there are occasionally tweed suits being introduced, so you might get lucky again for one of the upcoming collections - there is a new one usually every month. 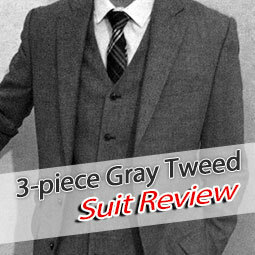 I had long wanted a nice tweed suit, even if my image of tweed was that of Harris Tweed and not of a navy blue one. 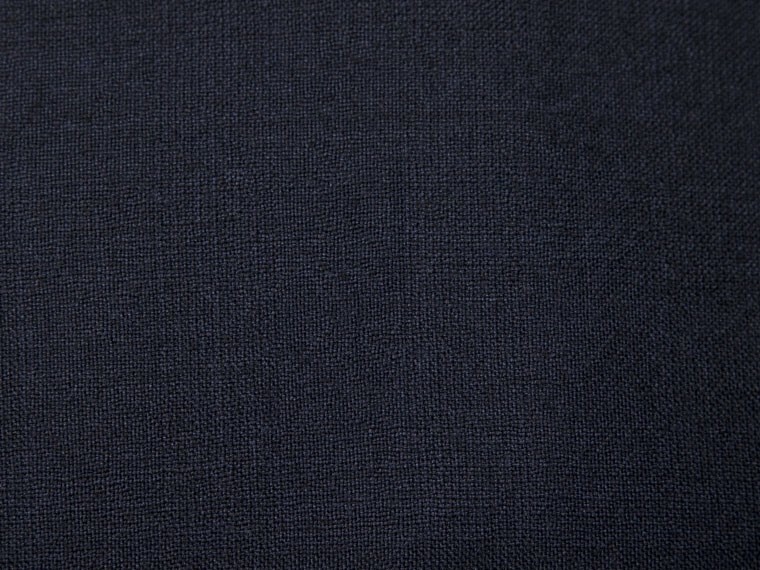 In any case, the Walker Navy Tweed suit turned out to be by far the nicest fabric I have seen on an Indochino suit so far. 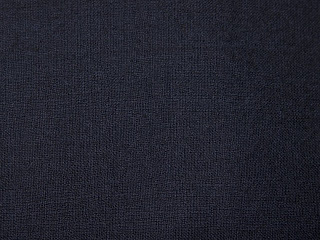 A dark blue, rather heavy fabric, quite a bit rougher than usual suit fabrics and on closer examination you can see the structure of it. Overall it does appear to be very high quality. 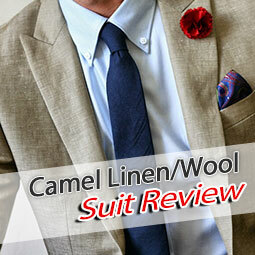 I have chosen the fabric detail picture from the Indochino website to show what I mean. I also chose to have 2 pairs of trousers this time and I chose one with flat front and another one with 1 pleat. I have to say that I seem to be the type of guy that feels (and probably looks) more comfortable in pleated trousers, but that is surely only a matter of personal taste and preference. One of the available coupons at that time also gave me 1 free shirt. 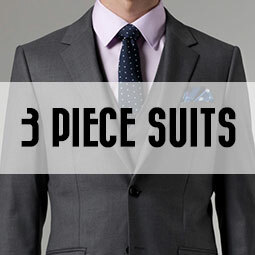 I chose the Indochino Dealmaker Shirt pictured below. 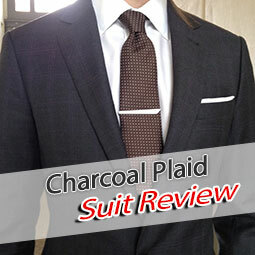 The fit is great, buttons are sewn very carefully - certainly no complaints here! As for the suit itself, the fit is really spot on. I had changed some measurements again to make the jacket a bit longer and the trousers a bit wider around the thighs. In fact, Indochino now lets you choose "boot cut" trousers for a more relaxed fit - I didn't have that option then. The shoulders are not the natural shoulders, but the default version. 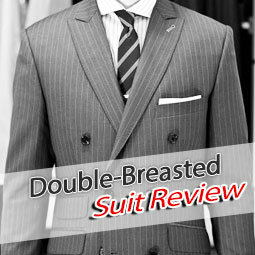 I actually like them a lot and don't think the padding is too much, you might have heard of problems with Indochino shoulders, but I can't notice anything bad on my suits. 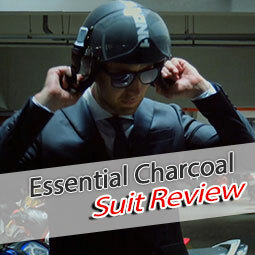 I also went for the higher armholes option, giving me more freedom to move in the suit. 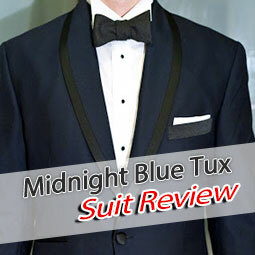 Another special feature is the golden buttonhole on the left lapel - a great detail! 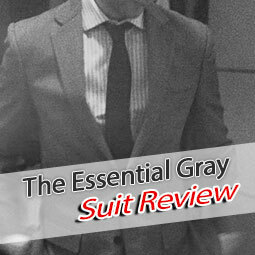 All in all, I'm really satisfied with this suit - I wear it to work regularly and only got positive comments on it so far. 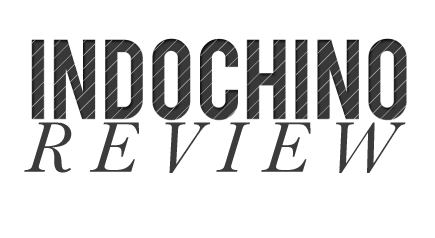 If you are about to order from Indochino from the first time, I'd encourage you to read the Indochino Guide and if you need any advise, please don't hesitate to contact me at indochinoreviews@gmail.com. If you need coupons, check at the Coupon Page, it's updated regularly and you usually find some nice deals there.